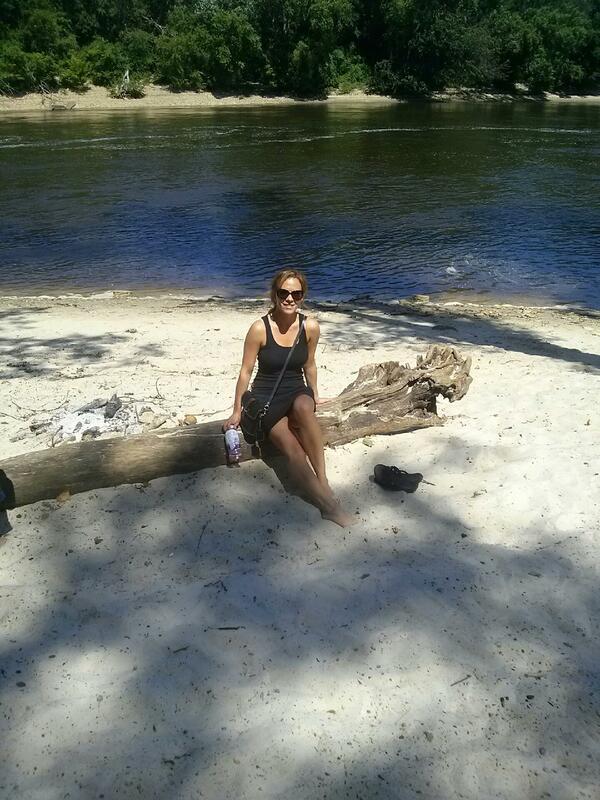 What were you up to: hiking and relaxing in a piece of heaven amidst the big city. 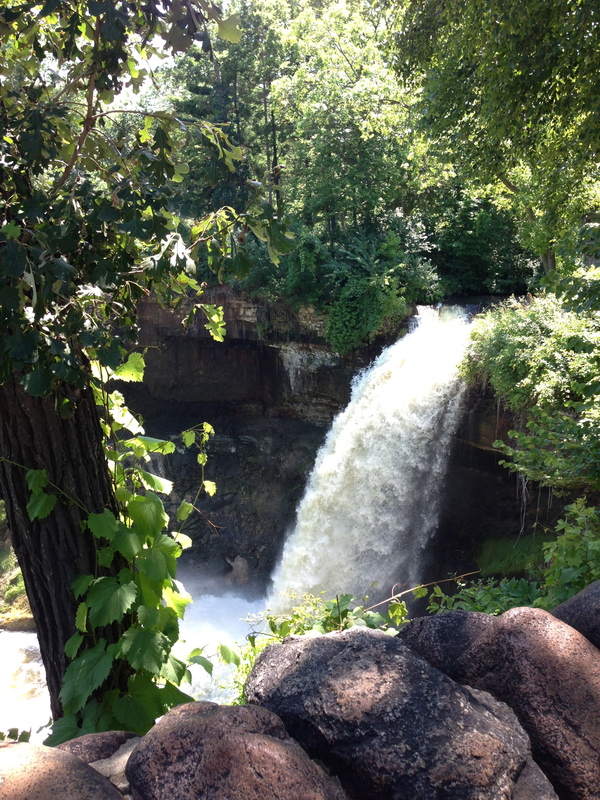 This weekend’s adventure took us to Minnehaha Park located in Minneapolis along the Mississippi River. What a wonderful time it was! It was the perfect day out, warm but not humid like it had been for the entire week. Even though the park was bustling with people it was still relaxing and peaceful. We took plenty of pictures, went on a leisurely hike, laughed and ended the hike with a refreshing IPA from Rush River Brewing Co., wh0 had a keg trailer set up outside the park restaurant Sea Salt Eatery. We did not eat at the Sea Salt Eatery in the park but instead chose to find the Birchwood Cafe for a late lunch/ early dinner. What a treat it was! 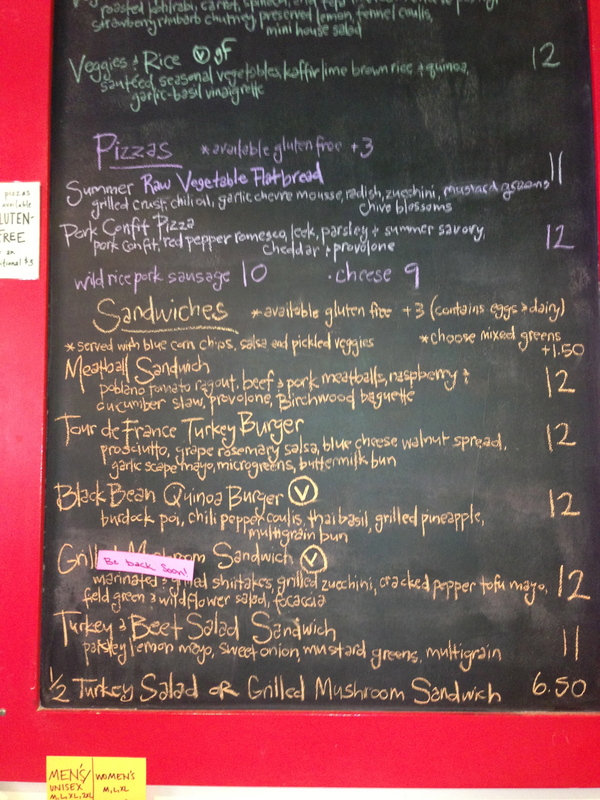 Birchwood, located in a quaint neighborhood, utilizes local farmers and fresh products to make their tasty menu items. I opted for the delectable Tour de France turkey burger which was topped with prosciutto (really the prosciutto sold me on this~ i literally can’t pass it up! 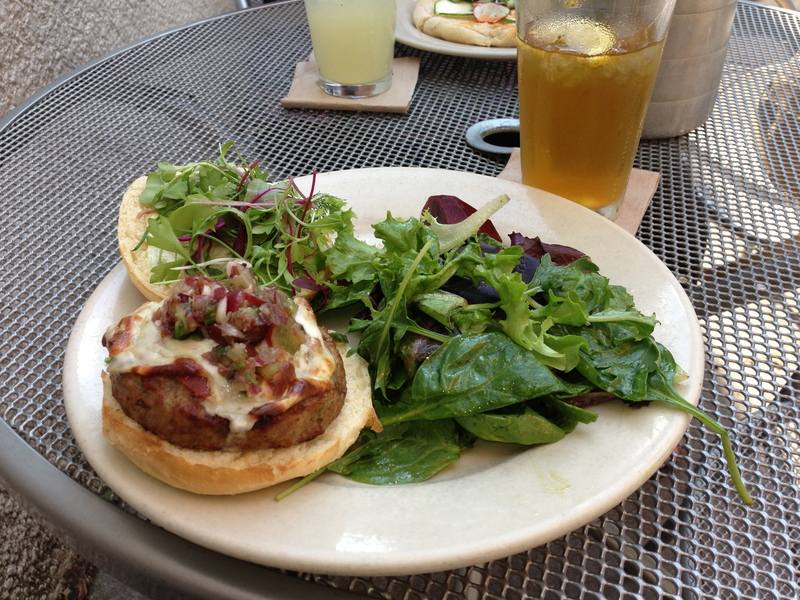 ), grape-rosemary salsa, blue cheese walnut spread, garlic scape mayo and micro greens atop a buttermilk bun. I’m not sure I can even find the words to describe how yummy this was. Not being a food critic, I know I can’t, so I will just stick with “yummy, yummy, yummy”! Trust me Birchwood Cafe is a must-try. View from our patio dining table- bikes! 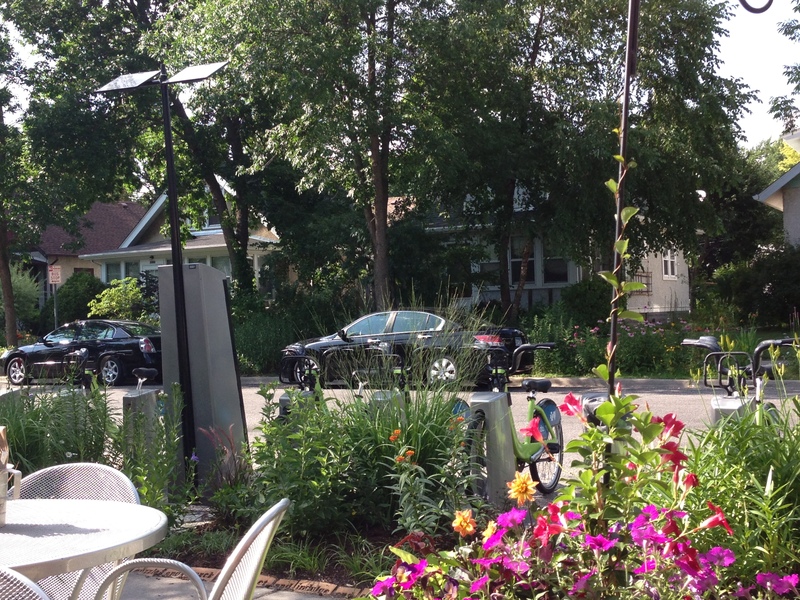 Right in front of the Birchwood Cafe is one of Minneapolis’s Nice Ride bike share stations. Located around the city -in neighborhoods, the college campus area and in the heart of downtown- are stations where one can rent a bicycle to use as a mode of transportation or just to hit the trails. All you need to do is pay a small fee to unlock the bike from its solar powered station and enjoy the ride! If you had told me a year ago that I would be listening to country music on a daily basis let alone going to country music concerts I may have said “You’re crazy.” Up until nine months ago, my knowledge of country music came from occasionally listening to some random country station on my way to mom’s in Iowa, and trust me, starting about 20 miles south of here to her place there’s nothing but country stations. But this weekend I found myself with one of the hottest tickets in town to my first ever knee-slapping-redneck-party. Yee Haw!! Going to this concert had been on my mind since the tickets went on sale last December. Unfortunately I did not buy tickets of my own at that time, bummer, I know and yes my wallet paid dearly because of this, but it was so worth it! Oh, so any way, I decided on Thursday (yes the day before the concert) to beg and plead with one of my friends to go with me. Really, it didn’t take that much begging at all, about two text messages worth and she was in. It took me about 2 seconds to purchase our tix on my phone, ser-i-ous-ly, you can do anything on those things! Tickets in hand, well almost, my excitement could not be contained, I was literally jumping around my place with glee!! Normally going to a concert of this size means heading to the city early to enjoy the bar scene at Cowboy Jacks or Kieran’s Irish Pub and some pre-concert tailgating but this being a spur-of-the-moment-once-in-a -lifetime-blast (the exact words I used when pleading with my friend via text to join me) my friend and I needed to put in half days at work. Bleh! Oh well, eventually we were on our way and not being a part of the pre-redneck-party wasn’t going to ruin the fabulously glorious entertaining night ahead of us. Soon enough we would have fruity, summery drinks in hand! Did I mention I love live music, (I don’t think I did) but I do! Always have. There’s just something about being part of a crowd listening to a favorite band or musician, singing and grooving along with thousands of other fans, yet at the same time feel as though this is your private show because all the songs “sound like a memory” ( Eric Church Springsteen reference there~ kind of scaring myself now with my new-found knowledge of country music). This concert had all that and more! Zac (yeah, were on a first name basis too “Hey Zac!”) and the Band sounded as crisp and clean as they do streaming on my iphone. Of course they played their emotionally charged songs~ Free and Goodbye In Her Eyes (my faves~to name a few); and slipped in some of their fun and upbeat tunes~ Chicken Fried and Toes plus a mean cover of Metallica’s Enter Sandman. And Kenny…uh, really I can barely describe his electricity on that stage, with his smile shining so bright on the big screen one could just feel it in the air! Every note he sang was my favorite, I don’t believe I sat down or stopped swaying or dancing the entire time he played. My faves~ Somewhere With You, You and Tequila, and Summertime. 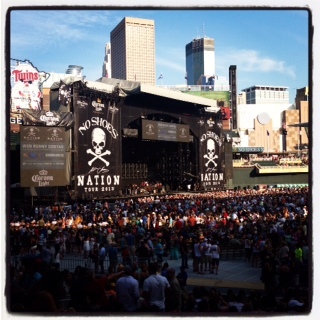 As Kenny said there’s something about Minnesota in the summertime. I believe it stems from the fact we are cooped up and Eskimo-like for 9 months of the year (okay, okay it’s not that long). It just affords us the appreciation of a beautiful night spent with 43,939 other fans listening to individual memories float through the summer air to land on our ears and in our hearts. For a gal who loves to shop, it’s a wonder why I have never made the jaunt to the shops of 50th & France in Edina, MN. I mean this is a really big question here? Really, why? Um… I just do not know. Mystery aside, let us move on, and get to the good stuff. Since it was Sunday and I got off to a later start I didn’t hit the entire area but I stumbled upon some fabulous finds! My first stop was prAna, where George, the gentlest yellow lab greeted me at the door. What a nice surprise! Any way, I love the feeling of comfort while wearing prAna clothing. My purchase, their Bliss skort in black, which will be perfect for weekend hiking and bike rides. At Paper Source, I ventured upon a gift givers mecca. There were so many fun gift ideas, creative cards and pretty wrapping to dress them up. 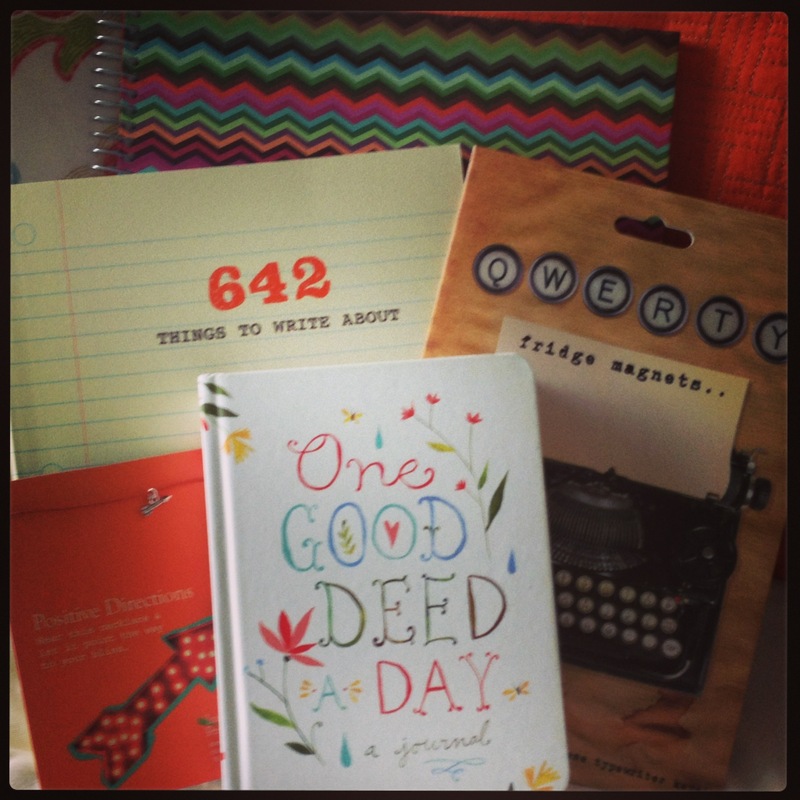 My purchases included – a fun notebook, QWERTY type magnets, a “positive directions” necklace, and my fave “One Good Deed a Day” journal book (sad that we have to be reminded to do this, isn’t it?). 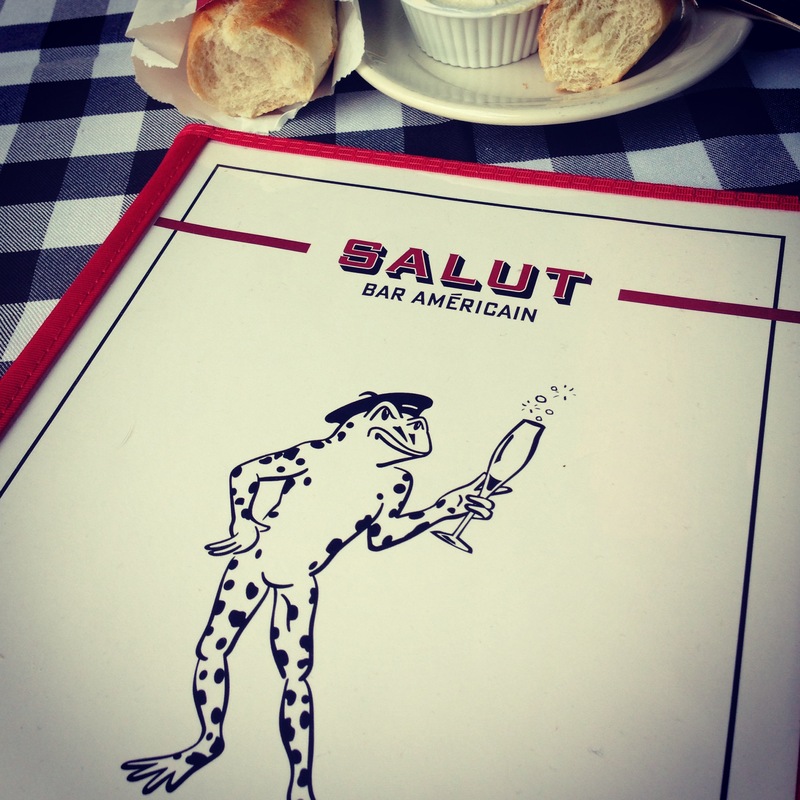 I took a break for a bite to eat and something to sip on down the street at Salut. It was a bit swelter-y with no breeze outside but I chose to sit on the patio of this quaint French- American bistro any way. 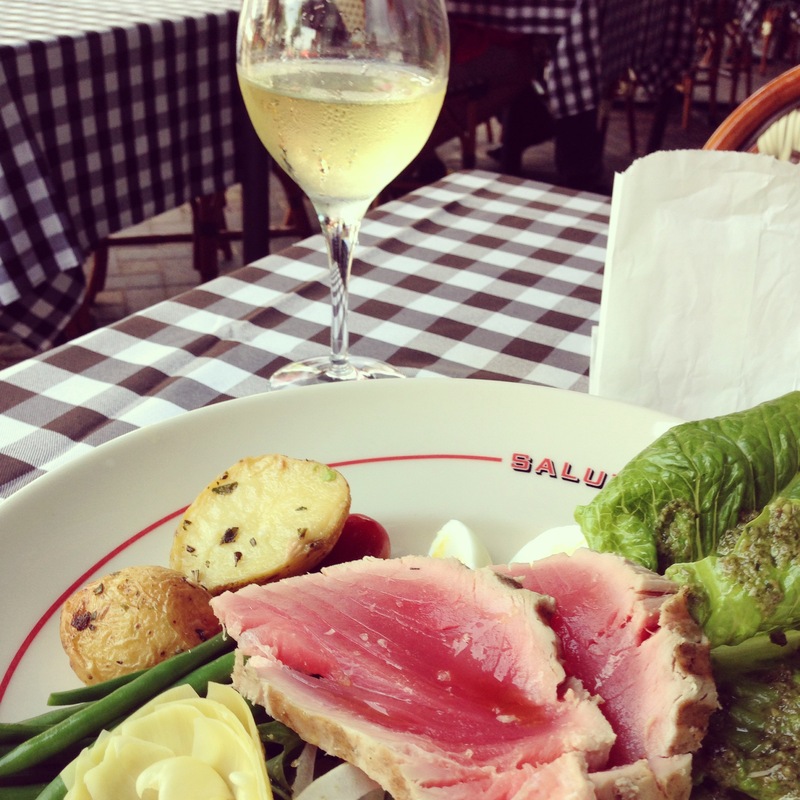 On my plate- Ahi Tuna Nicoise salad, so yummy and it was beautifully plated. In my glass- Simi chardonnay, refreshing and crisp. After my leisurely lunch I made my way to Anthropologie. This store has long been a fave of mine, the clothes, gifts and housewares are quite unique and I was full of excitement to see one located at 50th & France! 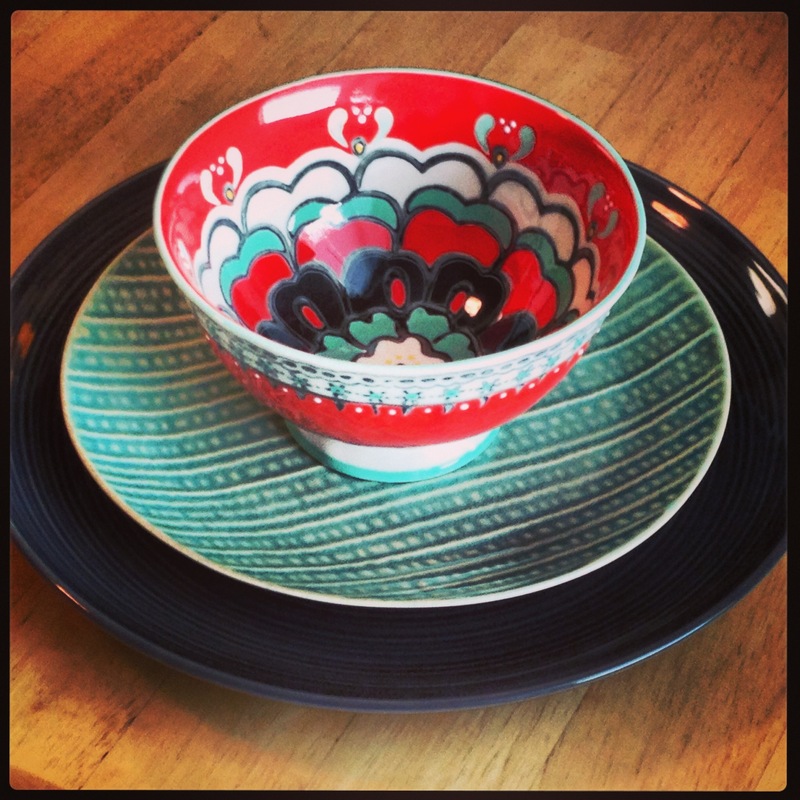 My finds- the perfect bowls to complete my dinnerware set and yet another inspirational writing book “642 Things to Write About”. Of course I strolled through other stores, such as Lush, and Cooks of Crocus Hill (no finds this time but I’m definitely going to try one of their cooking classes). All in all, a great first ‘Weekend Wandering’! Enjoy. Smile. Cry. Laugh. Share. Most of all~ BT2U.